Studies conducted at the Institute of Population Health Sciences in Taiwan suggest that shopping regularly increases your health and helps you live longer. The studies further revealed that people who shopped on a daily basis had a 27% lower risk of death than people who shopped less often. Of course, it must be emphasized that it is not the actual task of shopping that is beneficial, but the act of getting out of the house, socializing and being physically active. Research suggests that walking from one shop to another can burn approximately 400 calories a day. In addition, shopping is an enjoyable task. When you do things you enjoy, you increase the activity in the pre-frontal cortex of the brain. This is the section of your brain associated with pleasure and positive thinking. The release of dopamine when happy can be extremely beneficial by helping you to feel satisfied and contented, thereby, reducing your stress levels. The socializing that comes with shopping can prevent depression and feelings of loneliness. Speaking to the salespersons and even people who sit next to you when your feet are tired can take away the loneliness. However, shopping on a daily basis may be hard on the wallet. Therefore, we suggest you purchase the minimum of items and do more of window-shopping. Now that you know the benefits of shopping, get out there and do some window shopping and speak to people and have a good time and later on in the year, the dollars you save from the health bills can be used to do some real shopping! 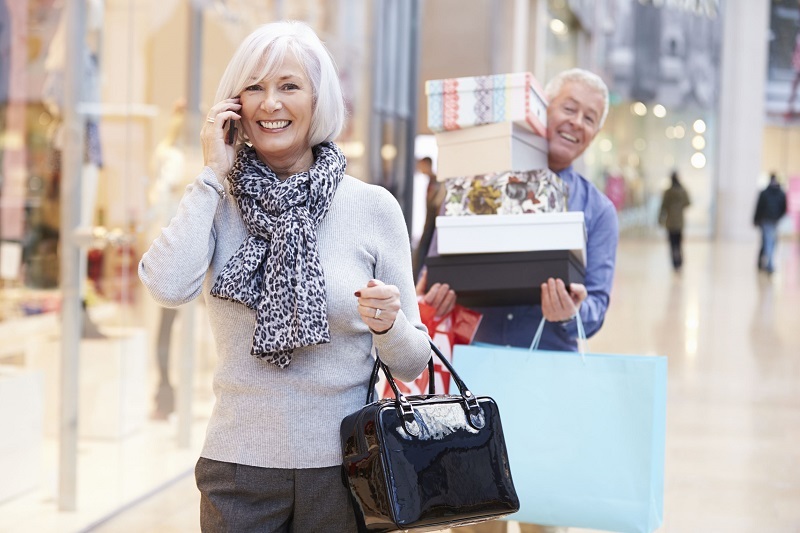 More communities in proximity to shopping can be found by visiting ActiveAdultLiving.com, a premier website for retirement community information. This website features more than 5,800 communities and information searches are user-friendly and easy to handle. You too can live a life of leisure and ensure good health by making use of all the amenities provided and of course giving yourself some shopping therapy!